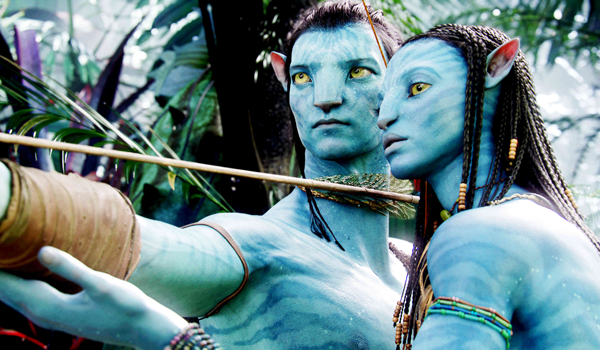 20th Century Fox announced today that James Cameron is expanding his plans for two Avatar sequels into three. The current plan is to release Avatar 2 in December 2016, Avatar 3 in December 2017, and Avatar 4 in December 2018. The announcement of an additional sequel now being in the pipeline is champagne-worthy news for Fox. The original Avatar grossed nearly $761 million domestically and an astounding $2.78 billion around the globe over three years ago. With the continued market expansion since from countries like China and Russia, among others, the overseas potential for the first sequel is massive. So long as Cameron keeps to his reputation of delivering crowd-pleasers, that story probably won't change for additional franchise installments in the years after 2016. Originally planned for 2014/2015, the delay of Avatar 2 comes as no surprise as pre-production has slowly (but surely) ramped up. Cameron has been working on the sequel scripts for some time now, and he's certainly the kind of filmmaker who takes the "it'll release when it's ready" approach. That's one reason he's such a reliable filmmaker at the box office. If there are any negative sides to the news, they are mere cautionary tales. Taking one film at a time is the wisest approach for any series. Even then, following in the footsteps of an uber-blockbuster is no cakewalk--look at the Jurassic Park sequels for proof of just one franchise that peaked early on. Will audiences be willing to turn out in droves for as many as three more sequels? Moreover, with 3D firmly established in the world of movies now, will the format prove to be as big of an attraction seven years after the first film blazed its trail? Domestically, that's very up in the air as audiences have begun favoring 2D presentations over the last few years. That being said, if there's a shortlist of filmmakers who can overcome such challenges, Cameron is certainly on it and it's nearly impossible to bet against him. If history is any indication, he probably has one or two more technological innovations in store for his Avatar sequels (he's already confirmed the use of underwater motion capture scenes). Only time will tell. Either way, Fox has its global cash cow firmly planted for the next half-decade.